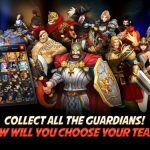 Netmarble, a well-known developer behind some of the most popular mobile games such as MARVEL Future Fight, Seven Knights, and Star Wars: Force Arena as well as several others, has just released another revolutionary adventure RPG for Android and iOS devices. Phantomgate: The Last Valkyrie brings side-scrolling RPGs to a new level with its compelling storyline, vibrant graphics, and unique gameplay mechanics. 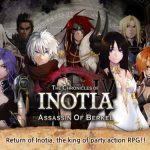 Fantasy and adventure RPG fans, as well as Gacha game fans, of all ages will find something to enjoy and look forward to in the game as it offers more than what you will find in conventional RPGs. While there’s going to be a lot of monster-collecting and upgrading involved, there’s a bit of puzzle-solving, exploration, and platforming in the game as well, so even if you’re not particularly an RPG player but is looking for a game that has a lot to offer, this game might be for you as well. Phantomgate: The Last Valkyrie is set with a Norse Mythology-inspired story that puts you in the role of a guardian and guide for Astrid, the last Valkyrie and the main protagonist of the story, on a quest to revive her mother and save Midgard from Odin. As you travel between realms, you will discover more about the past with each memory you regain and unlock new abilities to aid you in the battles to come. You won’t be alone on your journey though, as along with unique heroes who join you in your quest, phantoms you have cleansed, through their essences, can become your formidable companions as well. As battles grow fiercer the further your travels go, you need to constantly strengthen your heroes and enhance and evolve your phantoms to ensure your victory. Phantomgate: The Last Valkyrie lets you dive immediately into a taste of what’s to come. As an initial tutorial, you will be plunged into an epic battle, where you’ll easily get a sip of the controls as well as a few basic strategies to help you understand the basic mechanics of the battle. As you progress the story and unlock additional features, a brief tutorial will guide you on practically anything new that comes your way. Overall, the game has simple enough mechanics that even players entirely new to the game and genre can easily pick up what they need to know and effortlessly apply these mechanics as they progress through the game. You can easily win through battles at the early part of the game without much strategy and effort. Moving forward further though, the demands of better strategies and ample preparation becomes stronger. 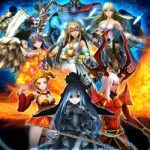 So whether you are new to the RPG genre and still taking in the deeper side of each game mechanic, or an avid Gacha and RPG gamer who wants to enhance your efficiency in farming and battles, our detailed Phantomgate: The Last Valkyrie beginner’s guide will provide you with the tips, cheats and strategies that you need to win each battle and save all of Midgard. Perhaps it is an already basic rule to follow when it comes to any RPG that making progress in the story is practically what you need to primarily, if not exclusively, accomplish to reach your goal. In fact, in some games, you can go straight through the story and even finish the game and forget about side quests, collectibles, and all other extra activities. Mobile RPGs like Phantomgate: The Last Valkyrie, however, offers new features and additional game modes as you progress through the story, and while these extra activities are very helpful, if not essential, in continuing with your progress, it oftentimes become unnecessary distractions toward the pursuit of greater goals. The point here is that you do also need to spend time with every other bit of activity or feature that the game has the offer, what is important, rather, is not to forget priorities and stick with moving on with the story as far you can. The reason behind this is that progress in the story unlocks features in the game. This range from new structures that offer a variety of perks, some game modes to earn more rewards from, as well as access to more phantoms for essences to summon more companions. You should instead delve into other activities, when it becomes very difficult or impossible for you to move forward in the story. Ideally, you shouldn’t be easily discouraged when enemies at a particular stage have higher levels than the average level of your team. Even though it may even say that a particular stage is difficult does not mean it is impossible. As easy and convenient leaving battles on auto are, you shouldn’t always rely on it. For one, manually engaging in battle makes each and every fight a lot easier. As an A.I.-controlled team does everything automatically, there are no strategies or logic involved with each and every action they take. In Phantomgate: The Last Valkyrie, you will be encountering a lot of different phantoms on your journey. With each stage in the adventure you finish, you will receive phantom essences that you can use to create and, later on, enhance companions. As there are over 300 unique phantoms in the game, you should expect to come across plenty of them faster than you can remember each one’s name. What typically happens is, you will have a set of companions to start your journey with and you may consider enhancing or evolving the first ones you get. Later on, as you defeat more enemies and acquire more essences, you might be inclined to summon, enhance, and evolve every type of phantom you have acquired along the way. It may happen as well that you intend to focus resources on the phantoms in your party but new and better-looking ones with seemingly cooler skills keep popping up here and there so you’ll wind up switching new phantoms in your main group as you progress through your game. You should always remember that the resources needed to enhance and evolve phantoms are limited and wildly spending these resources will make it harder for you to progress in the long run. As such, consider basic needs as far as phantoms are concerned. This means focusing on the minimum number of phantoms you need to be able to make it through to the end of the story, and even beyond. There are four basic categories of phantoms and four types of elements in the game and heroes, like the main protagonist, follow the same classifications, as far as variety is concerned. Categories may be physical damage type, magical damage type, defense type, or healer type and an icon on the top left corner of the character indicates what category it belongs. The four elements in the game are wind, earth, water, and fire. Wind is strong against water and weak against fire; water is strong against fire and weak against earth; and so on. As far as skill types are concerned, any combination will be okay for starters. On the latter areas though, it would be good to make sure you have a one for each type. Like in many RPGs, parties are always made of different types of character, one specializing in a particular role. When it comes to considering elements, initially you’ll mostly be in battle against enemies with the same element. However, later on it will become a mixture of different elements so, for best results, form a party that represents each of the four elements. With all that then, the best way to go is focus on one phantom for each element of each type, with an end goal in mind totaling 16 phantoms so that you will always have any sort of mixture in your team to deal with any opponent. As far as turn-based battles go, the simple mechanics of Phantomgate: The Last Valkyrie provides for a lot of good strategies to be put into play. When it comes to battles where you are a lot stronger than the opposing team, auto-battle is definitely a good choice. Later on, however, as enemies become a lot more challenging, you will have to stop relying on that and instead hone your strategies to get the upper hand in each battle. As an added requisite to having sound battle strategies, get to know as many of the phantoms you have on your roster. These will lead to a better idea on how to utilize each of them in battle as well as know what they are capable of in the hands of the enemies. What’s important here as well is not thinking of them on their own, but how they will perform as part of a group. Whenever possible, sneak up on an unsuspecting enemy and approach when their backs are turned for an ambush. With this you get to attack first and potentially hit the enemies hard before they can retaliate. Another key important game-changer here is the presence of buff (blue) and debuff (red) bubbles that float around the battlefield. Knowing how to utilize these can easily turn the tide of battle in your favor so be sure not just to grab each but also analyze and determine to whom it is best to use them on. Each stage you visit in your adventure presents multiple sub-quests for you to accomplish before you can proceed to the next one. Perhaps, in some cases this may seem straightforward and linear. However, there are many stages in the game with secret areas that hold valuable treasures, and it would be best to explore each stage thoroughly before proceeding through the portal at the end. There is a map of the stage that you can view by clicking on an icon in the upper right of the screen. With that, you can easily determine if there are areas that you have not yet seen or visited. If you’re at that point where progressing through the story is already becoming very difficult, perhaps due to level gap, then it’s a good time to spend some extra stamina on visiting Gate Zones you previously conquered. Take note that these will be practically guaranteed wins since you’ve beaten enemies here before. Make sure to get as many essences for the phantoms you actually use in battle. As you progress further in the game, some phantom shards can be obtained from multiple stage gate zones, so in effect, it makes farming a lot easier. While doing this, regularly check on the phantoms you use to see if they can be enhanced or evolved. Keep in mind that this may affect how you actually choose the members of your team considering that some phantom essences are far more difficult to obtain than others. Phantomgate: The Last Valkyrie has a unique arena system not common in mobile RPGs. Spending some time here can earn you a lot of great rewards as well as give you an idea or two about ways to improve your team. For one, arena battles in this game are real-time, so you get to control your team against another online player who is also controlling his team. You won’t get to choose who you battle though, as players are selected randomly as soon as you choose to battle. Don’t worry though as you will most likely be paired with players who are practically within the same level as you are. There’s an option to use auto-battle, but it puts you at a disadvantage not only because you’re playing against a player-controlled team but also, you won’t be able to get those buff orbs. You will get a maximum of 10 attempts to battle in the arena and you earn an additional one every 30 minutes, so it’s a good place to visit from time to time. In addition to earning points which you can use to buy a variety of items in the shop, you will also be getting random loot boxes for wins and a free box every 10 wins. Be sure to open these loot boxes as soon as they become available as it take minutes to a few hours to open them. One extra game you will unlock early on in the game is the Corridor of Memories. In here you will battle enemies you have defeated in stages from the adventure. Be careful though as this is a sort of mini-survival game in the sense that you will be battling one group of enemies after another without replenishing health and mana in-between. Even if your team has a higher level than the enemies here, you may still find it challenging. As such, be prepared as you may need every bit of strategy to survive here. Healers are especially important here.You can attempt to clear any stage here each day. The only limitation is, you can only use a hero once per day. So, if you have three heroes, you can choose to battle three times. One good thing about this is that it doesn’t consume stamina but offers very good rewards. So, at times when you’re low on stamina, you can attempt to finish a course here. There’s a free Premium Summon once every day but surely enough, that will hardly be enough to earn those hard-to-get Phantom Essences. One of the reasons why it’s important to focus on enhancing a few companions is to save on resources. Likewise, gold and diamonds in the game are hard to obtain as well and must be spent wisely. Typically, you would want to earn more than enough of each currency to spend on summoning. Though it will still be hard to collect and create those rare Phantom Essences, what you would hope here to get are essences of the phantoms you use in your team. There aren’t any discounts for summoning at 10 times, but you get an extra reward for every 10 premium summons that you buy. The Statue of Freyja is your constant source of extra Phantom Souls that you need to enhance your Phantoms. As you can never have enough of this resource, you should always visit this whenever you can. If you can, take note of the time it would take for the statue to generate the maximum number of Phantom Souls it can. Keep in mind that the more Phantom Souls you obtain from the statue, the higher the statue’s level grows effectively increasing the amount of souls it can create. 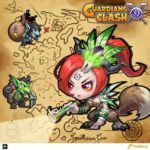 Similarly to the majority of Netmarble games, Phantomgate: The Last Valkyrie offers a lot of in-game rewards for accomplishing certain feats and doing certain activities in the game. There are events, milestones, and even daily missions that give you a variety of rewards once you meet the requirements. All these rewards that you claim do not become part of your inventory yet. These instead wind up on your inbox where you need to claim them again. While this may seem troublesome, it’s actually a good thing especially when it comes to stamina as instead of the free stamina being automatically added to your remaining stamina, it will be kept safely on your inbox to be used at a more convenient time. Some items can be left in the inbox indefinitely while others have an expiration period. Well, that’s about all we have for our Phantomgate: The Last Valkyrie beginner’s guide. Hopefully, you enjoyed reading this strategy guide and learned something from it. If you have additional Phantomgate: The Last Valkyrie tips, tricks, or strategies that we failed to mention, be sure to let us know in the comment section below!